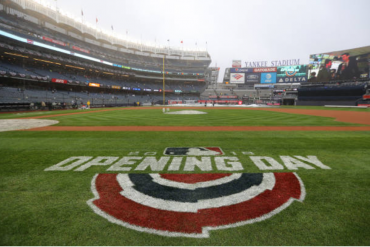 At some point during the Yankees’ terrific recent run, you have to figure there was a good chance John Sterling sang a verse of “…in the merry, merry month of May”. With the Yankees taking two of three from the Kansas City Royals this past weekend, the team has now won eight straight series. That’s the first time it’s been accomplished by the franchise since 1998. Since splitting the first 18 games of this season, the 2018 squad has won 21 of 25 (.840) A handful of the victories came as the result of fantastic finishes. Gleyber Torres, Miguel Andujar, and Neil Walker came through with game winners in late or extra innings. 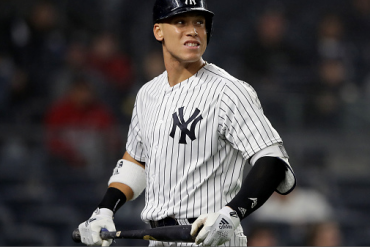 And of course, Aaron Judge, Gary Sanchez, and Giancarlo Stanton did their part to win games during the 25-game stretch, just as their 1998 counterparts – Derek Jeter, Bernie Williams, Paul O’Neill, etc., had done 20 years ago. 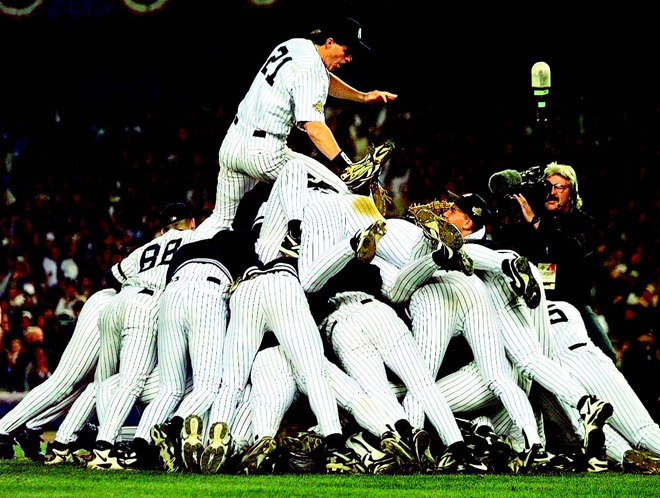 We here at Bronx Pinstripes continue to celebrate the 1998 squad with a look at their memorable month of May. The Yankees won 17 of 23 games in the first month of the 1998 season, moving into first place (by one-half game) on April 30. The most famous game in May 1998, of course, fell on the 17th, when David Wells faced 27 Minnesota Twins and retired all 27 of them. 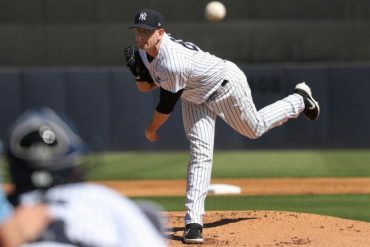 It was the second perfect game in Yankees’ history and the first since Don Larsen’s perfecto in the 1956 World Series. The two perfect games produced some interesting side notes: Joe Torre managed Wells’ history-making game and was in attendance when Larsen threw his masterpiece. And, Larsen and Wells attended the same high school in San Diego, CA. The late Hideki Irabu had his trials and tribulations in the Bronx, but his first full season was not a bad one. It included four of his career-high 13 wins in May, including defeating the Royals on May 1st. Irabu allowed just one run, a Johnny Damon home run, over seven-plus innings in a 2-1 victory. Williams tied the game with an RBI single off starter Pat Rapp in the 6th inning and his sacrifice fly two innings later proved to be the winner. Mike Stanton and Mariano Rivera closed out the win. If Wells’ performance on the 17th was perfect, he was anything but perfect in the game between the Yankees and Rangers 11 days earlier. The Yankees handed “Boomer” a 9-0 lead after just 1-1/2 innings of play but Wells couldn’t make it out of the third inning. Chuck Knoblauch had led off the game with a solo home run (O’Neill and Tim Raines had homered as well), but his misplay at second base (ruled a hit by the official scorer) opened the floodgates in the bottom of the 3rd inning. Wells lost his composure after Knoblauch’s miscue and the Rangers took advantage with seven runs. Mike Simms‘ two-run home run cut the Yankees’ lead to two and Wells departed the game after just 2-2/3 innings. But the Rangers’ pitching was awful that night, and as David Cone mentioned on a recent broadcast, the 1998 Yankees never thought they were going to lose. The Yankees answered back with four runs in the top of the fourth, with RBI hits from Scott Brosius, Tim Raines, and Jeter. The Yankees’ shortstop had a big night with four hits, five RBI, and a pair of runs scored. The Rangers fought back again with three runs off of Willie Banks in the bottom of the 4th to cut the deficit to three. Implausibly, two innings later Texas put three more runs on the board off of Mike Buddie and Ramiro Mendoza to tie things up at 13-13. A loss after owning a 9-0 lead can do long-term damage to a team, but losing was not in the cards for these Bombers. Jorge Posada put the Yankees back ahead in the 8th inning with an RBI single and Jeter tacked one on in the 9th with a home run off of former teammate (and 1996 World Series MVP) John Wetteland. 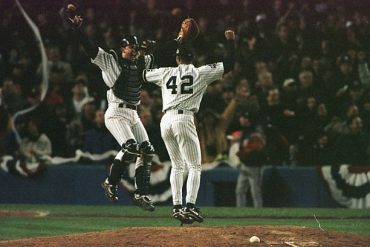 Mariano Rivera recorded the final four outs of the game and the Yankees won their seventh straight. The game was all about Yankees swingman Ramiro Mendoza. The native of Panama was an integral part of the Yankees’ 1996-2000 dynasty, used by Torre as a long-man, set-up reliever, and starter. Mendoza needed just 95 pitches to throw a complete game-shutout of the Minnesota Twins on their home field. The righty scattered five hits, didn’t walk a batter, and struck out two. Prior to the ’98 season, the Yankees had acquired Knoblauch for four players including starter Eric Milton. The Yankees knocked Milton from the game after five innings and four runs allowed, including Scott Brosius‘ first home run of the season. Baltimore came to the Bronx for a three-game series on the heels of Wells’ perfect game. In the opener on Tuesday (good thing for Wells’ sake that Monday was an off day), the Orioles jumped on Cone for a 5-1 lead after four innings. The Yankees’ bats were mostly silent until the 7th, when O’Neill doubled in a run and Raines added an RBI single. With the deficit cut to 5-3, the Yankees went to town in the bottom of the 8th inning. Posada and Knoblauch drew one-out walks from Sidney Ponson, but Jeter flew out for the second out of the inning. With O’Neill due up, O’s manager Ray Miller called on tough lefty reliever Norm Charlton. One-time teammates with the Cincinnati Reds, Charlton was always a tough at-bat for O’Neill. On a 1-0 count, O’Neill sliced a line drive in the hole between shortstop and third base to score Posada. Miller signaled for his hard-throwing right-hander, Armando Benitez. The switch-hitting Williams stepped in the left-handed hitters’ box and drove a 2-1 pitch into the right field seats to give the Yankees a 7-5 lead. With the Stadium crowd still celebrating, Benitez drilled Tino Martinez square in the back. The resulting melee was one of the ugliest moments the sport had seen in quite some time. The brawl moved from the field into the Orioles’ dugout as players exchanged punches. Benitez received an eight-game ban, while the Yankees’ Darryl Strawberry and Graeme Lloyd each received three-game suspensions. 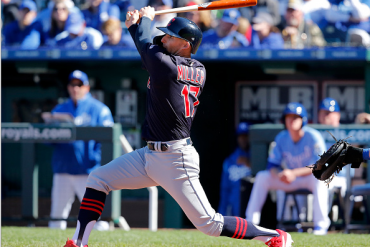 The Yankees’ Jeff Nelson and the Orioles’ Alan Mills each got a two-game ban. The Yankees and Red Sox rivalry had cooled in the late 1980s and early 1990s. As a matter of fact, the Yankees and Red Sox didn’t meet in the playoffs until the 1999 season (The 1978 one-game “playoff” was officially a regular season game.) But, the late 1990’s saw both teams experiencing a revival that would carry over well into the 21st century. The two teams met for a three-game series at Fenway Park with the Yankees ahead of their neighbors by five games in the AL East. On Friday night, Williams slugged a three-run HR off of Tim Wakefield, but Mendoza and the pen blew a 4-0 lead and the Red Sox came away with a 5-4 victory. The rest of the Memorial Day weekend belonged to the Bronx Bombers. On Saturday, Chuck Knoblauch slugged a 2nd inning grand slam off of Derek Lowe and the Yankees went on to a 12-3 rout. On Sunday, the 24th, Knoblauch struck again, this time in the third inning. Knobby’s three-run HR highlighted a seven-run inning, with all the damage charged to starter Bret Saberhagen. The Yankees scored six more runs in the 5th en route to a 14-4 pasting. Cone won his sixth game on the way to a 20-win season. On Memorial Day, the Yankees moved to Chicago where the White Sox fared no better than the other Sox. The Yankees routed the “Pale Hose” 12-0 behind O’Neill and Williams’ combined seven hits and seven RBI. Yankees starter Hideki Irabu tossed a complete-game shutout. While the 2018 squad is playing dynamite baseball and knows how to win, you can’t make a fair comparison to the 1998 team. 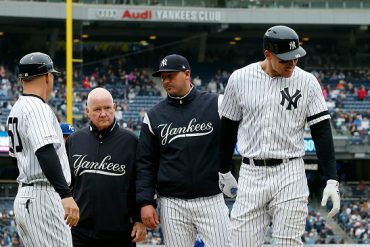 The two groups are very different – the current collection of Yankees is much younger, while the 1998 team was a group of experienced winners that conquered the opposition. Next month, we’ll continue our series on the ’98 team with a “Where are they now?” segment.